Hellchild The Unholy: Angelica Blackstone Goes Out Fighting!Hellchild gets in her last licks in the series finale! In the last issue of Hellchild The Unholy, Angelica Blackstone confronted Ouroboros. He was getting the best of her but did not kill her. Instead, he offers her a place alongside him as a “god.” Angelica refuses but does kill Jezebel which leads her to question herself and the others to question whose side she is really on. At the same time, a war between the underdwellers and the NYPD is about to erupt and blood will flow on both sides. In the finale, Angelica is in the midst of riots, monsters, death and destruction as the uprising is in full effect. While she refused Ouroboros’s offer, she does make him believe she has decided to join him. In the middle of the fight, Jezebel reappears which confirms what Ouroboros told Angelica about her. Just when Ouroboros thinks Angelica is going to do his bidding, she does something else. 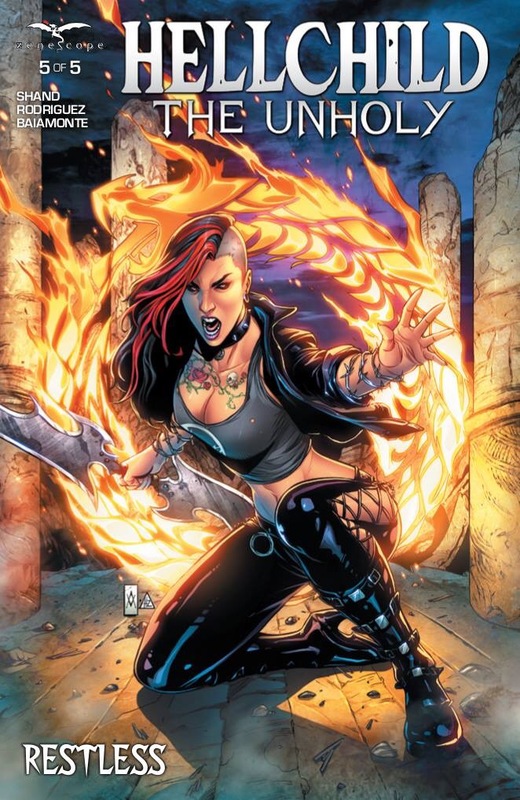 Has Hellchild chosen sides or has she done what was needed for her to survive the battle? Pat Shand did an amazing job with this final issue. It was a fitting end not only for the series but Angelica. We really see her come full circle. It certainly leaves an opening for Angelica to reappear in another series, whether it be her own or as a guest character in another title. Renzo Rodriguez did a great job on the artwork and gave readers something to remember. The colors of Walter Baiamonte added to that memory and made the series vibrant and bloody. Ario Murti and Hedwin Zaldivar gave the final issue a fiery cover to send the series off right. Hellchild: The Unholy was a fun, well-written and well-told story that I will miss. Angelica was relatable in certain ways. She had inner demons, aside from the fact she was considered a demon, which she constantly battled with. She wanted to do good but felt it was not getting her anywhere with anyone so she decided to do her thing her way. 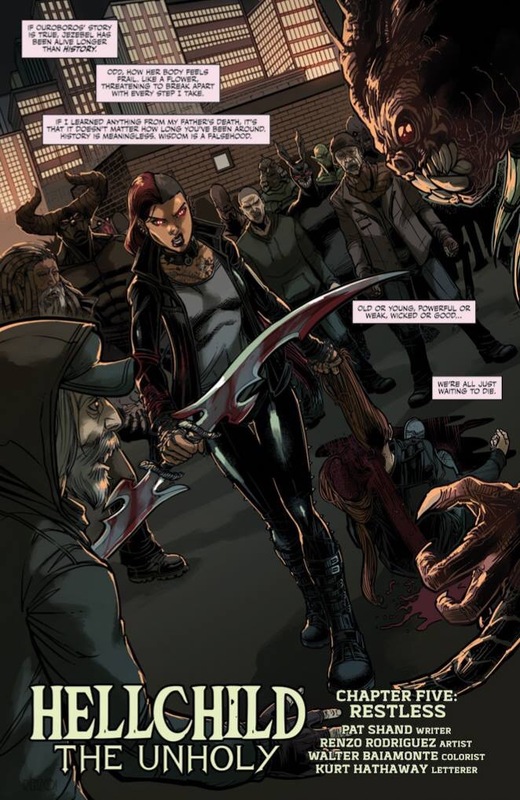 It interconnected very well with the Van Helsing series which makes Zenescope such a great comic book company. They have a connected universe which flows smoothly between titles and characters. Hellchild: The Unholy is on sale now so check out your local comic book shop today!